A drone that had been contracted to inspect cracked windows at San Francisco's Millennium Tower, which is tilting, hit the building and fell to the ground during the inspection Friday, narrowly missing several people on the sidewalk below. Television station KPIX reports that the drone inspection company had been hired by the homeowners association for the building. The station was recording video for a news segment when the accident occurred. 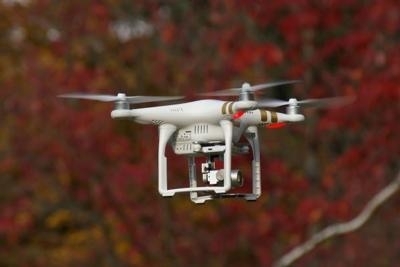 The pilot of the drone told the station that the aircraft lost its satellite signal and was briefly not in his control. The drone drifted to the left, impacted the side of the building and fell to the ground. The pilot had to launch the drone from three different locations due to GPS interference, according to the report. He said he was able to get the requested footage of a cracked window in the building before the accident occurred. The Millennium Tower was completed in 2009. Since then, it has sunk 16 inches and has leaned 2 inches to the northwest, according to the report.